Since gaining his Geology and Geophysics PhD from Imperial College London, Stephen has forged a career as part of various teams around the world that has discovered over five billion barrels of recoverable oil. He was part of the discovery team that found the Buzzard Field (600 mmbo/2001) now producing 300,000bopd, Catcher Fields (100mmbo/2013), and Huntington Field (60mmbo/2005) in the UK North Sea. 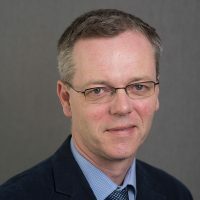 Stephen was Chief Geologist at Oilexco North Sea from 2004-2009, which took a company from 10 cents to $18.50 in 2008, producing 30,000 bopd from the Brenda North Sea oilfield. He was also within the exploration team that discovered the Tahiti Field (500mmbo/2004), which is now producing 200,000 bopd in the Gulf of Mexico. He explored and appraised the Peregrino five billion-barrel heavy oil field in Brazil (2004), and now owned by Statoil (the largest oilfield outside of Norway for Statoil), producing 100,000 bopd in Phase 1. Stephen also discovered the recent 426 Cretaceous deep-water fan fields in the Sergipe Basin (Brazil), estimated to contain over a billion barrels of oil (2013). 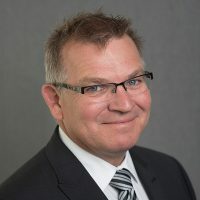 Recently as the Carnarvon Exploration Manager, he was part of the Lower Triassic discoveries at Phoenix South (up to 300mmbo in place/2014) and Roc gas discoveries (up to 1 TCF gas/2016) in the NWS. 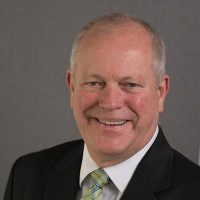 Andrew joined Carnarvon in 2012 after previous engagements with the likes of Exxon, Woodside Petroleum, Premier Oil Newfield and Arc Energy. Specialising in providing advanced geological and geophysical exploration tools and concepts, Andrew has had success identifying, mapping and proposing prospects that have delivered significant commercial hydrocarbons, including two oil fields in Central Sumatra and a ~200mmbo oil field in the Malay basin. Andrew led the business development team (covering S.E. Asia) of Newfield Corp to negotiate entry to acreage in Malaysia; Newfield’s position was monetised 12 years later in 2015 at just short of US$1billion. During his time at Arc Andrew managed the onshore exploration program which consisted of a drilling period of a continuous 18 months. Whilst at Carnarvon Andrew has played a significant role in mapping the Phoenix area which includes the Phoenix South and Roc discoveries, and has been central to the identification of and technical input to the Buffalo Field redevelopment opportunity. After Jeff graduated with a Geology BSc (London), MSc (Sheffield) and PhD (London) he started to gain valuable experience working in the North Sea for ten years. Jeff became an expert in stratigraphic methodologies and applications in defining stratigraphic plays. Involved in several large discoveries around the world, including recently six back to back gas discoveries in Indonesia for Husky/CNOOC. 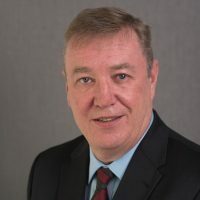 Jeff has a vast experience and knowledge of the NWS being involved in discoveries and development projects including John Brookes, East Spar, Corowa, Hurricane, Mutineer/Exeter, Amulet and Casino fields. 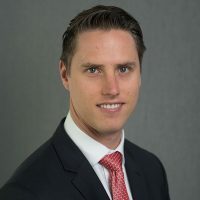 Having joined Carnarvon in 2013 Jeff has been involved in building Carnarvon Petroleum’s NWS database, expanding Carnarvon’s acreage position and the Phoenix South and Roc discoveries. Thomson is a finance executive responsible for the overall financial management of the Carnarvon business. 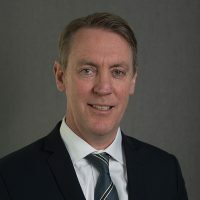 Thomson is a Chartered Accountant with experience in auditing, financial reporting and commercial transactions including the divestment of Carnarvon’s Thailand production assets.